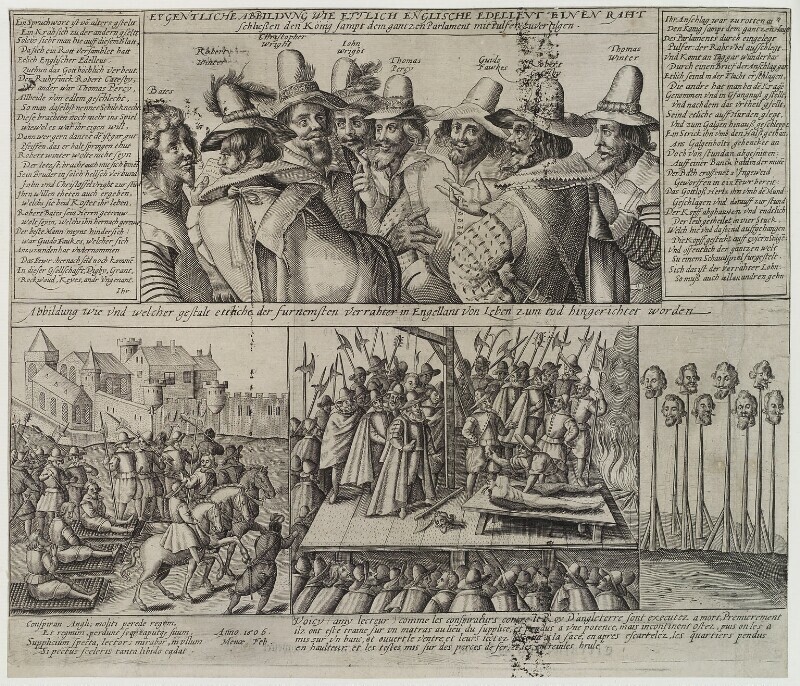 The Lord Chief Justice Sir John Popham sentences Guy Fawkes to be hanged, drawn and quartered in the Old Palace Yard opposite Parliament. Creation of a union flag of England and Scotland prompts complaints from Scottish shipowners that the St. George cross obscures the saltire of St. Andrew. The Stationers' Company Register, which allowed publishers to register their rights to produce printed works, notes a performance of William Shakespeare's tragedy King Lear, possibly the play's first appearance. Benjamin Johnson comic masterpiece, Volpone, premiers at the Globe Theatre. Three ships belonging to The London Company set sail from London, to establish colonial settlements in North America. Richard Bancroft, Archbishop of Canterbury, enlists Robert Hunt as chaplain for the expedition. Hunt probably conducted the first known holy communion service in North America.